Digital Financial Services can be defined as financial services provided over non-traditional channels like mobile phone, internet, or banking agents. Digital Finance has the potential to foster access to formal financial services for many individuals in emerging and developing countries. 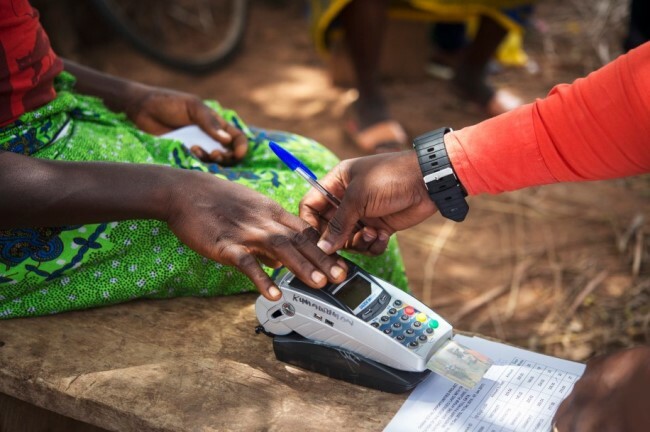 Current estimates indicate that 1.5 billion individuals, especially women, could benefit from financial inclusion efforts driven by digital solutions until the year 2025. Rural households suffer particularly from lack of financial infrastructure and high transaction costs. These costs are not only direct costs such as transportation expenses to reach the nearest bank branch, but also include opportunity costs such as the time spent on the journey or on waiting in queues before being served. We see the need for support on different intervention levels in our projects. On policy level, we supported Papua New Guinea in elaborating its Second Financial Inclusion and Financial Literacy Strategy 2016 – 2020, where Digital Finance was identified as the most important priority area to promote financial inclusion. In Mozambique, we provide technical assistance to the Mozambican Central Bank to harmonize existing mobile money/ e-money regulations into one unified regulatory framework. Financial institutions receive technical advice in offering agency banking services, ranging from product development and agent selection to agent management. In Jordan, where Syrian refugees and low-income Jordanians are often excluded from formal financial services, our project activities focus on increasing the awareness level among the target group on the benefits (and risks) of using digital financial services and to increase the digital financial literacy.